Hold-On Industries - One of the largest manufacturers of polyethylene plastic products in the industry. 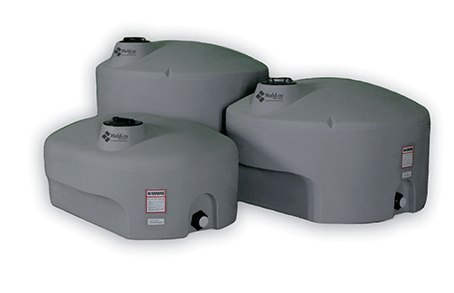 Manufactured in Western Canada with FDA and food grade approved polyethylene with UV stabilizers. Hold-On Industries is a family owned and managed Western Canadian company. Opening in the seventies, Hold-On Industries began as an agricultural manufacturer and dealer. In the eighties, Hold-On industries transitioned to be one of the forerunners in a new industry, the production of rotational polyethylene plastic. Importantly this allowed Hold-On Industries to remain rooted in agriculture but also broaden into the field of industrial and recreational products. Hold-On Industries continues to grow as a family business and has become one of the largest manufacturers of polyethylene plastic products in the industry. In 2017 with an expanding product line and increasing sales it became necessary to relocate to the town Aberdeen Saskatchewan. This new fully modern facility is home to one of the worlds largest rotational ovens helping Hold-On Industries to continue to be a leading market innovator. In addition, Hold-On Industries designs and manufactures its own moulds providing the ability to adapt quickly to keep pace with a constantly changing market. Providing the best possible product and service keeps Hold-On Industries true to its focus, the needs of its customer.